Omarosa on the White House: "Not my circus, not my monkeys"
Reality TV star-turned White House aide-turned reality TV star Omarosa Manigault Newman is free to speak her mind about how the White House really functions -- or doesn't -- as a part of the cast on CBS' "Celebrity Big Brother." 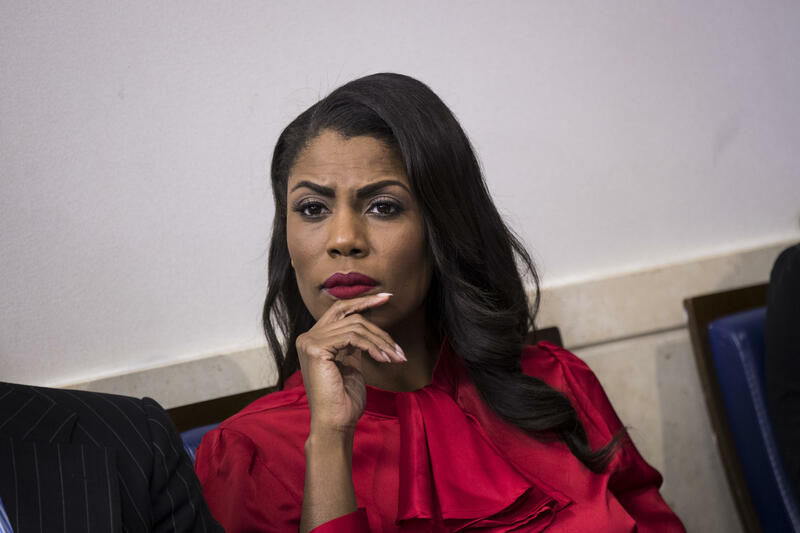 In a preview of the Big Brother show that airs Thursday night, Omarosa expressed her fears about the Trump presidency while fighting off tears. Newman, whose departure from the White House was filled with drama in December, described a White House where she was cut off from the president, and where she lived in fear of the president's unpredictable tweets. "I felt like it was a call of duty, I felt like I was serving my country, not serving him," Newman said, asked why she would work for such a controversial presidential figure. "I was haunted by tweets every single day, like what is he gonna tweet," she added. Newman said she "tried to be that person" who would try to stop him from doing or saying things he shouldn't, "and then all of the people around him attacked me. It was like, 'keep her away, don't give her access, don't let her talk to him.' Ivanka's there, Jared's there..."
Asked who has the power to speak up, Newman said she didn't know. "I don't know," Newman said. "I'm not there. It's not my, it's not my circus, not my monkeys. I'd like to say it's not my problem but I can't say that because, like, it's bad." The former White House aide does not reassure her co-star when he asks if everything will be OK.
"No, it's gonna not be OK," she says. "It's not." See the full conversation between Ross Mathews and Omarosa in the preview clip from Celebrity Big brother below. The next episode airs tonight at 8 p.m. ET, 7 p.m. CT on CBS and CBS All Access. Why did Omarosa leave the White House? Newman left the White House in December, although she continued to be paid, according to White House press secretary Sarah Sanders, through the majority of January. Newman, who appeared on Mr. Trump's "Apprentice" show years ago, was fired by White House chief of staff in December, CBS News chief White House correspondent Major Garrett has reported. Kelly gave her until Jan. 20 to leave, but she didn't approve of those terms and attempted to negotiate. Kelly said no. So Newman appealed to Ivanka Trump, the president's daughter, but she took no action. Newman then found her way to the White House residence, where she tripped the alarms. Kelly became angry, and had her escorted from the building. It is unclear who did the escorting. A White House official denied this account of Newman's departure. The White House claimed she, "resigned" to "pursue other opportunities."Mr. Trump has commented on Newman's tendency for drama in the past. "Omarosa always promises and delivers high drama..." he tweeted in March 2013.